This webinar was held on 22nd November 2018 – Please click above to download the recording and the slides. Europe has seen an increasingly competitive marketplace for Group III base oils, while new Dutch capacity is expected to do the same for Group II. Group I continues to soldier on through this complex landscape, amid a healthy European export market. Partly driven by changing base oils capacities and new vehicle regulations from industry body ACEA, a new dimension could be added by the IMO’s new low-sulphur rules for shipping and bunker fuels in 2020. In this webinar, European base oil editors Sarah Trinder and Vicky Ellis look at the complex picture for prices, giving an overview of critical trends during 2018, from a European and global perspective. They will look ahead to potential market-moving changes due in 2019. How MARPOL low-sulphur rule may affect the sector. Sarah Trinder has worked at ICIS for over seven years covering a range of markets including base oils, paraffin wax, shipping, biofuels, glycerine and jet fuel amongst others. She has been covering the base oils market for nearly three years now, with particular focus on the export markets. Vicky Ellis is a senior editor at ICIS covering European markets for base oils, methanol, fuel and industrial ethanol. Her previous newsroom experience writing about the energy industry took her to power stations, German coalmines and even down London’s sewers. It also saw her host webinars and conferences for the B2B energy market. ICIS is also organising the 23rd World Base Oils & Lubricants Conference from 18-22 February in London. For over two decades, it has been the pinnacle conference within the base oils & lubricants industry’s calendar. With over 680 attendees coming from 50+ countries, the conference is set to deliver a week of unrivalled content and unparalleled networking opportunities and will feature: two training courses, a seminar, two workshops, a conference, a breakfast briefing and a Gala Reception for all levels of experience. This will also be your chance to hear directly from global market experts including representatives of Morris Lubricants, Fuchs Petrolub SE and International eChem. Our new and enhanced petrochemical analytics and insights put you in a stronger position so you can optimise your trades, plans and strategies in order to secure a competitive advantage. 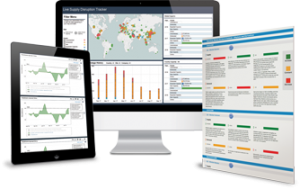 View real-time global plant outages and maintenance for the next 12 months for your subscribed commodities, plus the impact of capacity changes to minimise risk and optimise production.